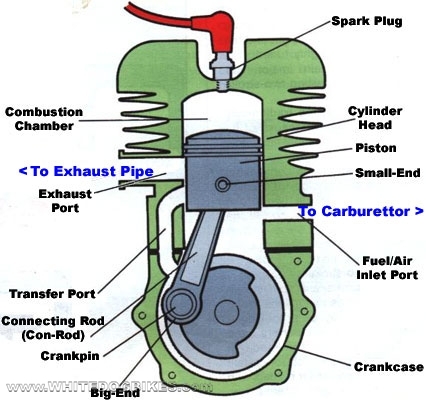 The main difference between 2 and 4 stroke engines is the way they use oil. As any 2 metal surfaces rub together (such as the piston and piston rings rubbing up and down against the cylinder barrel), friction is caused. This friction causes the metal parts to wear as they rub against each other. In order to minimise friction and wear on engine components, engines use oil as lubrication which provides a thin layer of protection between the metal surfaces.